Main Category: Wholesale Seasonal Items | Type: Kit | Hayes Specialties Corp. 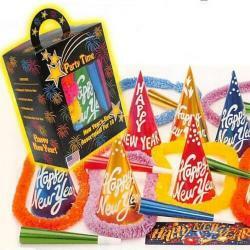 This New Year&rsquos Decorating Kit will fulfill all of your decorating needs for your New Year's Celebration. Each kit comes with a multitude of cardstock cut-outs, several feet of garland, etc. 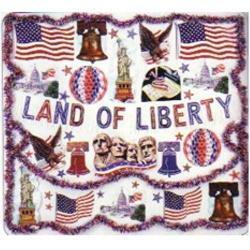 The Patriotic Decorating Kit will fulfill all of your decorating needs for the upcoming patriotic holidays of 4th of July and Memorial Day. Each kit comes with a multitude of cardstock cut-outs, several feet of garland, and red, white, and blue striped honeycomb crepe paper balls.